Several months ago, I joined an online discussion group for Rabbis. It’s a wonderful forum that brings together rabbis from all streams and different parts of the world. It’s for this reason that I enjoy the group so much. We treat each other with courtesy and respect, as equals. I believe we truly delight in the exchange of ideas, the social and Talmudic give and take. There are no ad hominem attacks, and nobody is checking anybody else’s tzitzis. For the last few weeks we were involved in an intense discussion about Jewish identity and inclusion. The discussion was sparked by a video which one of the members shared depicting a Messianic preacher who styles himself “rabbi” performing a bizarre ceremony which he presented as a Jewish ritual. I don’t want to discuss the details, but I was amazed by the outrage we all felt at this travesty. Orthodox, Conservative, Reform, Reconstructionist, Post- and Trans-denominational alike condemned this man’s behavior and began to question not only his actions but also the whole issue of Jewish identity. It made me realize that while we may all come from different places, there is one place where we truly stand together. We all have different ideas about what we believe and how we practice. We attend different synagogues, practice different customs and maintain traditions on which we were raised. It gives me hope to know that despite our different voices, we all speak in harmony. This entry was posted in Israel, Jewish ritual, Judaism, Religious freedom, Religious Judaism and tagged Belief, Conservative, Got Talmud, Inclusion, Jewish, Jewish identity, Messianic Jews, Orthodox, Rabbi, Rabbis, Reconstructionist, Reform, Talmud, Torah, Trans-denominational. Bookmark the permalink. 5 Responses to …but it’s a derekh. Rabbi, I LOVE this post. You gave voice to my feelings about the forum discussion (Early on I added my 2 cents to the discussion, but mostly I have been only following/stalking since then.) 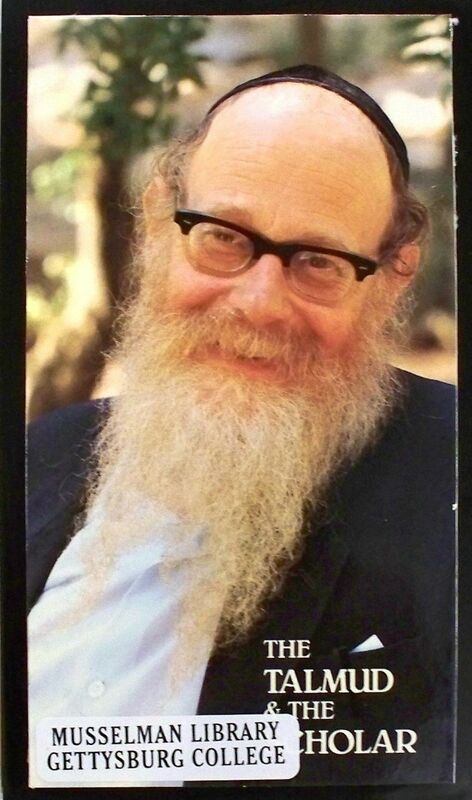 What a wonderful teaching about derekh (and derekh eretz) from Rabbi Steinsaltz. Thank you for sharing it. I tend to “lurk” too — sometimes even on my own e-mail. Lately I figured I’ll just go ahead and post and see what comes of it. Comments like yours keep me going, so thank you, Pamela, for your kind feedback. . Since you mention how very pleased you are that the people of the group you mentioned keep their discussions respectful, for example, in that they eschew ad hominem attacks, I want to ask you what you think of the Amoraim’s use of ad hominem attacks and what you think of the inclusion of such attacks in the text of the Gemarah. I encountered one only last week (Ketubot, 85 a, toward the end of the page, Rav Papi rejects Rav Bibi ben Abaya’s ruling allowing a legal document to be issued prior to the occurrence of the events that would make it valid), and I’ve read perhaps three or four others, one or two also in Ketubot, although I can’t readily cite them. Truth is, I don’t like it when disrespect is the coin being traded in discussions. But, people are people, and sometimes, well, we let our impulses drive our actions and our words. The important thing is not to let it slide. I returned to review that page and my comment. I mis-characterized it. It wasn’t an ad hominem remark, although it was somewhat disparaging. Here and there, the Gemarah does record some Amoraim’s snarky comments. I have no quarrel with that or with the Amoraim who deliver them. Yes, they and we are people.